very nicely done... i snagged this 1 a while back before i was registered to use in my screensaver slideshow, hope you dont mind? OMG!! This is Freaking Awesome!!!! I Absolutely LOVE This Picture! Oh! 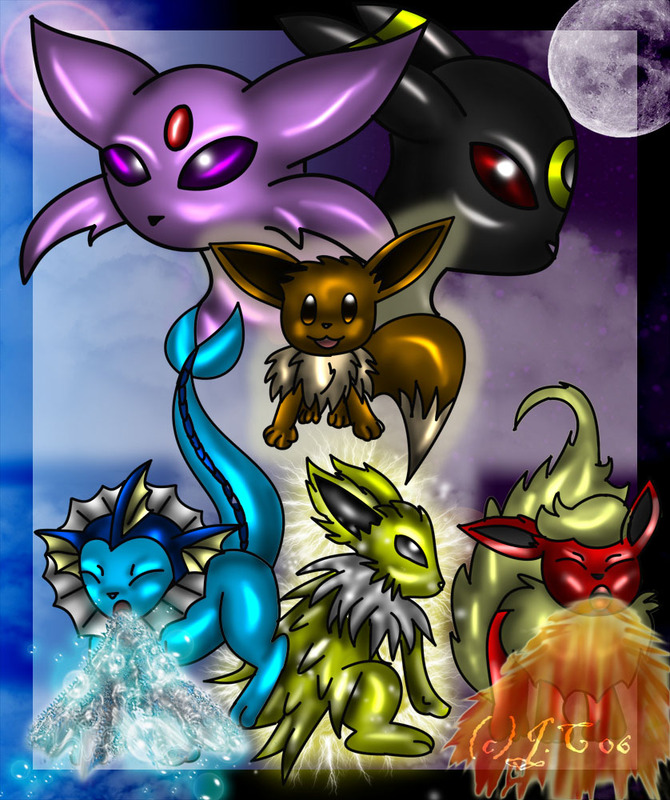 Do you know about Glaceon and Leafeon! The Ice and Grass evolutions of Eevee? love- my fave is always been umbreyon!